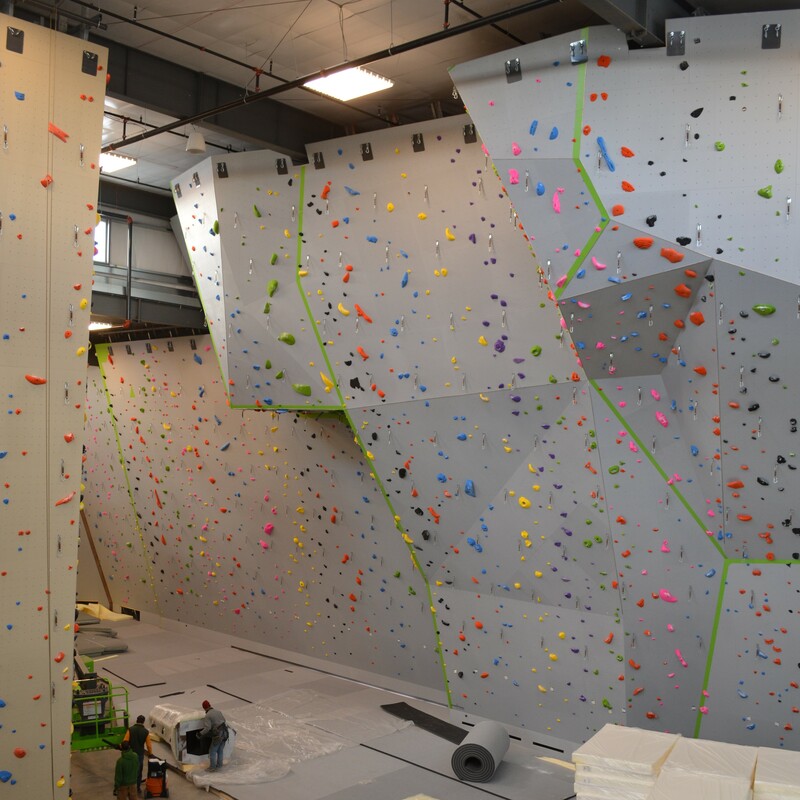 Movement’s new Denver climbing gym is nearing its completion, and it looks AMAZING. Denver has long been in need of a premier rock climbing gym in the heart of the city. In 2011, I wrote an article making the case for such a gym, and I’ve been posting updates as we’ve gotten closer and closer to that goal becoming reality. In late 2012, the Denver Bouldering Club doubled its space and made some significant investments in equipment. 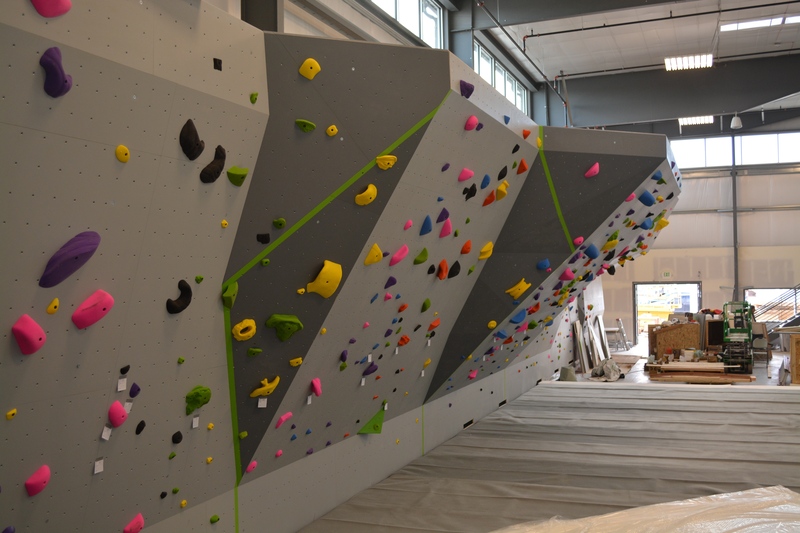 The updates were great progress, but that gym still remains a bouldering-only facility, meaning there are no ropes, and the highest you can get off the ground is roughly 15 feet. 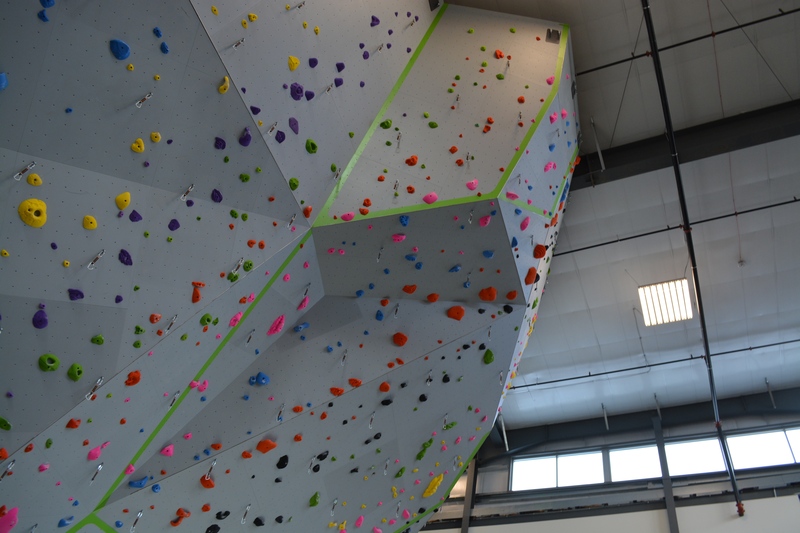 In late 2013, Earth Treks completed its new climbing gym in Golden. 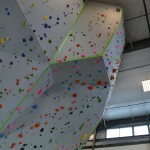 The eighth-largest rock climbing gym in the country, it was a fantastic addition to the local indoor rock climbing scene, but it is still a 20-minute drive from central Denver (before taking into account rush hour traffic)–making it a tough option for Denver residents looking for an accessible gym for an after-work workout. In August of 2013, I was able to share the Good news that finally a premier, large, full-service rock climbing gym was coming to central Denver. 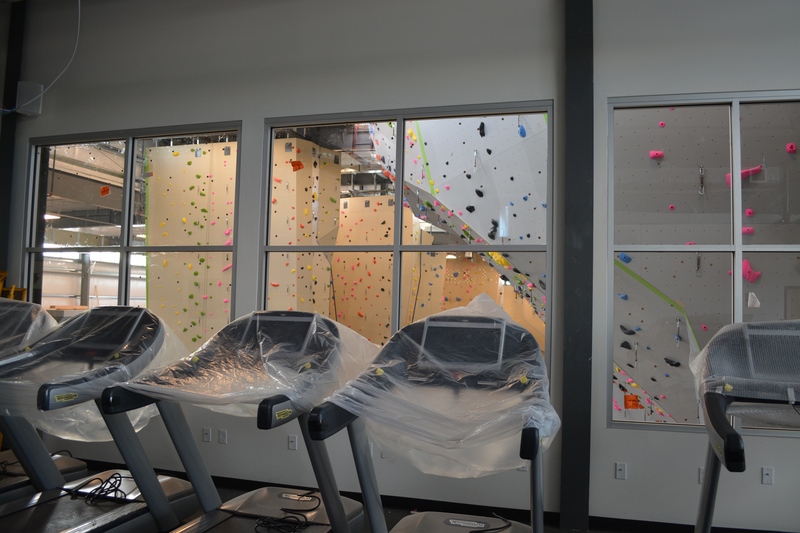 Since then, Movement, which already has a successful rock climbing gym in Boulder, has been working non-stop over the last year and a half to build out its new location in central Denver (6th and Mariposa). 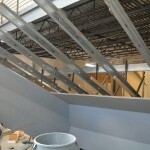 That construction is coming to an end, and the gym will be open for business very soon. 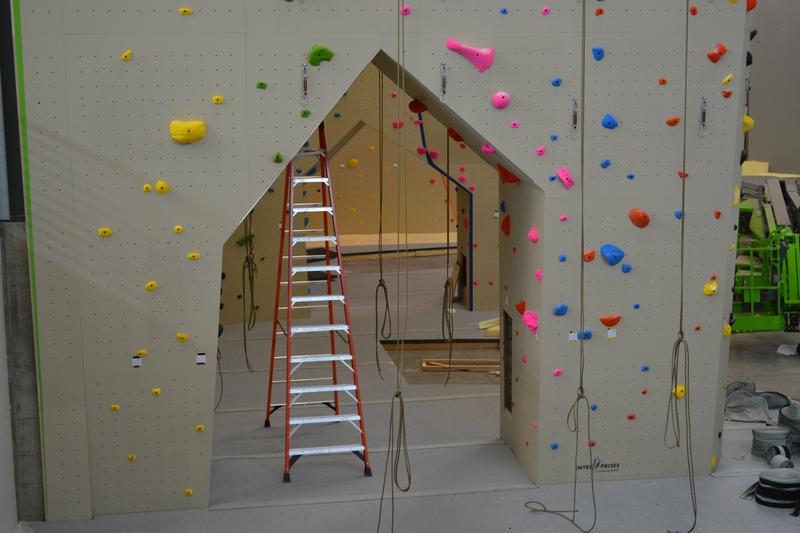 A soft opening will be held this weekend (November 22nd-23rd) at which guests can purchase discounted memberships, and the gym just needs its occupancy permit from the city to let the climbing begin. The new gym in Denver is gorgeous. 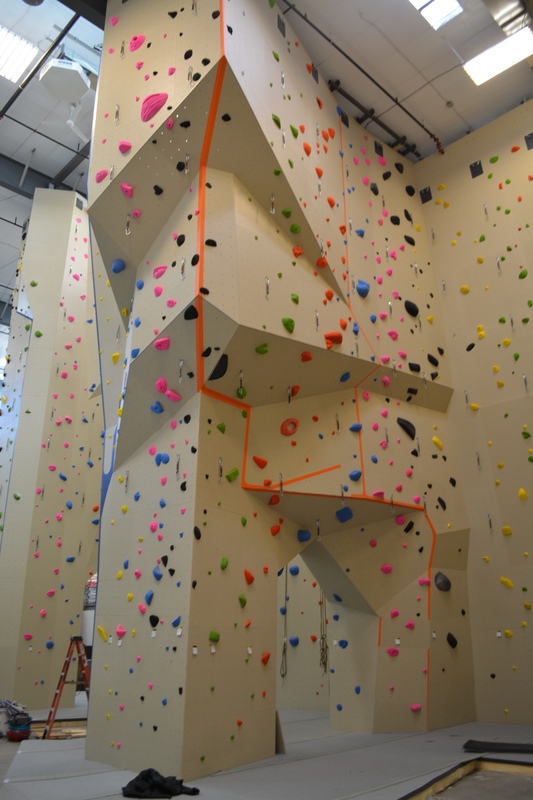 It features 50 feet high walls, over 26,000 vertical square feet of climbing, and many different areas to suit each guests’ individual needs and skill levels. There is a bouldering competition wall which you can top out on, a “wave wall” with smooth changes in slope as you move from right to left (very cool), a 65 degree overhanging bouldering cave that is 20 feet wide, a 45 degree bouldering wall that is 35 feet wide, an instruction ledge that will allow instructors to teach guests anchor equalization and safe rappeling, three cracks to practice crack climbing, additional bouldering areas, and so much more. 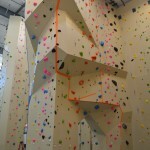 The climbing walls have four t-nut holes per square foot, giving the gym an enormous amount of flexibility when planning routes. The carpet on the floors/pads throughout the gym are designed to pull excess chalk off of shoes and clothing to keep the chalk on the walls and holds to a minimum. The sinks in the bathrooms are sloped to keep water from splashing onto your clothes–seemingly everywhere you look, you see intentional functional design that will be much appreciated over the coming years. In addition to climbing, Movement offers yoga, small group training, and fitness classes. 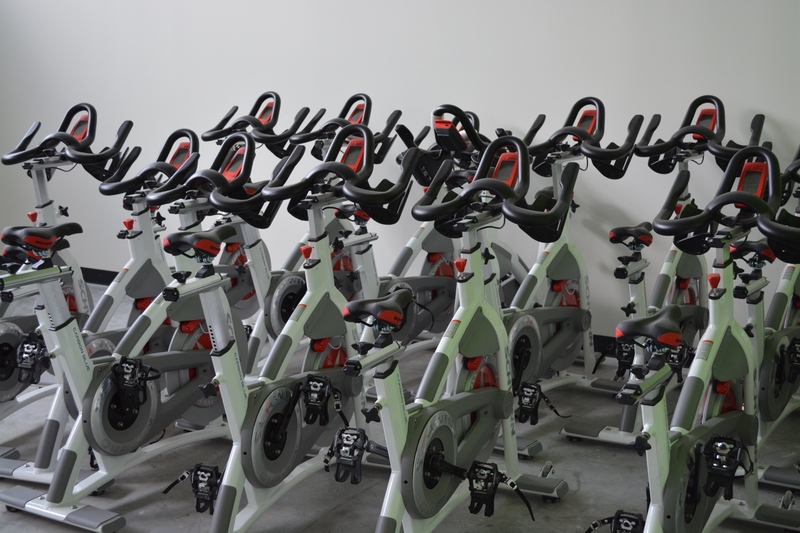 There will be over 50 fitness classes offered per week (free with membership), including blast core, blast circuit, ski fit, interval training, strength, ab lab, climbing fitness, climbing recovery, mat pilates, pilates 45, group cycling, cycling 101, cycling cinema, and intro to cycle/fitness. This weekend at the soft opening, memberships can be purchased with a waived start-up fee (otherwise a $75 up-front cost is added on to your membership). Monthly memberships are $68/month, 10-punch passes are $180, and a day pass is $19. 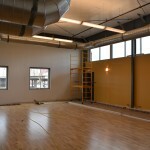 Below are some more photos to give you an inside look at the new Movement Climbing and Fitness gym in Denver. Enjoy! 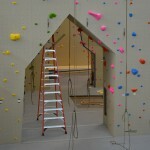 The climbing walls are tall and varied. This roof is about 45 feet off the ground. 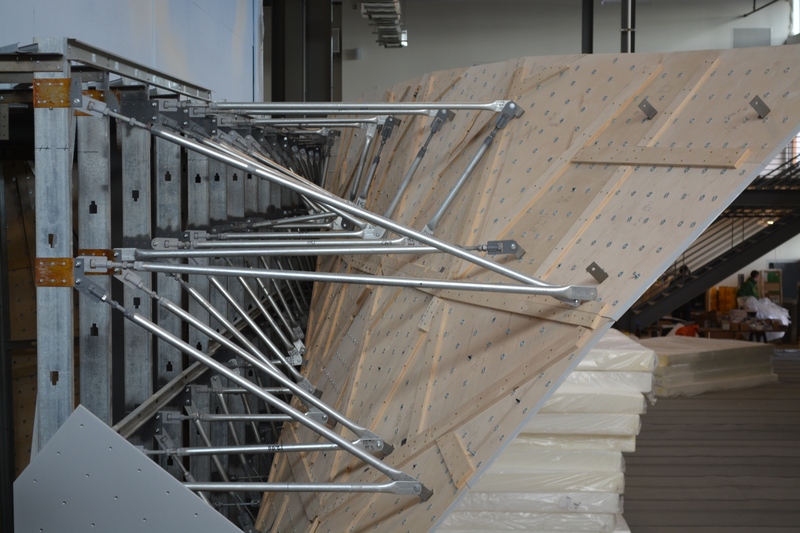 This vertical wall has panels that can be added to complete it for speed competitions. 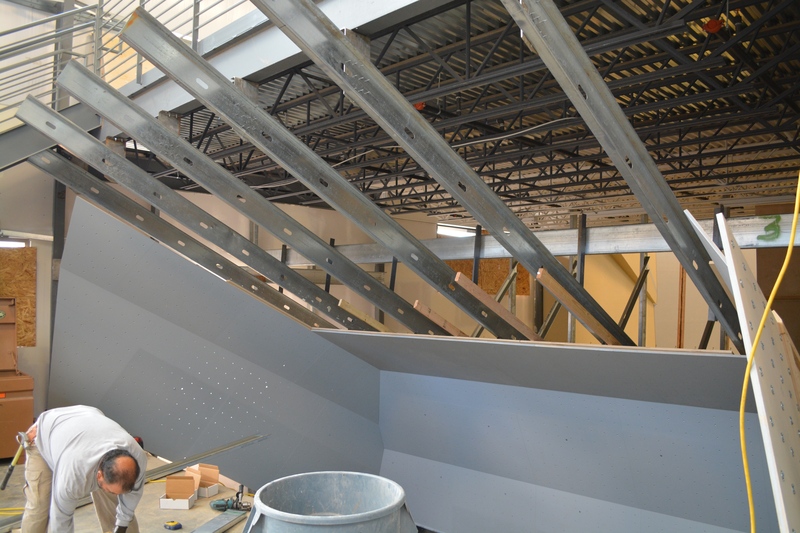 The 65 degree overhanging bouldering cave is receiving is finishing touches. 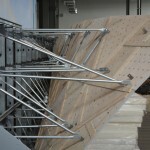 The back of the beautiful wave wall for bouldering. 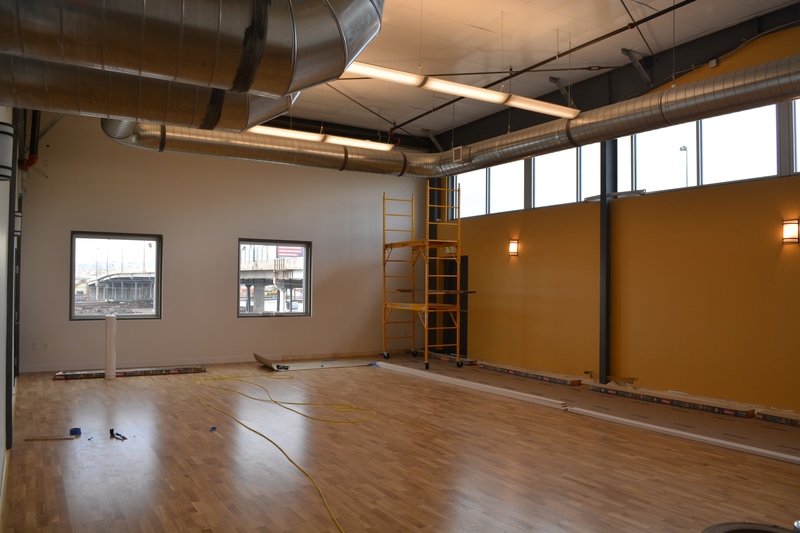 This room will be exclusively used for yoga. 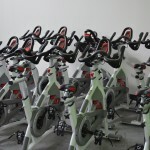 Cycling will be one of the other non-climbing fitness activities offered at Movement. Movement is located at 1155 W. 5th Ave. Denver, CO 80204.